The French advertising giant Publicis Groupe struck a deal Sunday to buy Razorfish, the interactive agency that Microsoft has owned since acquiring the agency’s parent company, aQuantive, in 2007. Publicis, which owns interactive agencies like Digitas, agreed to pay about $530 million in cash and stock for Razorfish. The deal had been widely expected. After the deal closes, probably in the fourth quarter, Razorfish will maintain its current management as an autonomous unit of the VivaKi division of Publicis. The deal is “another step forward in realizing our strategic vision of building a world leader in digital communications, a critically important space for our clients,” Maurice Lévy, chairman and chief executive of Publicis in Paris, said in a statement. After the deal closes, Mr. Lévy said, Publicis will derive about a quarter of its revenue from interactive and digital advertising. The company had expressed the desire to achieve that goal in 2010, so Mr. Lévy will be able to check that box a bit early. The acquisition is being made for 1.4 to 1.5 times the annual revenue of Razorfish, which was estimated for last year at $400 million. That level is about typical for deals in the current subdued economic climate. A big part of the deal is what is being called a strategic alliance agreement between Microsoft, based in Redmond, Wash., and Publicis, which also owns agencies like Saatchi & Saatchi, Leo Burnett, the MediaVest Group and ZenithOptimedia. The agreement, which is to run for five years, calls for Publicis to buy display and search advertising on Microsoft properties like MSN.com and Bing, the new search engine. 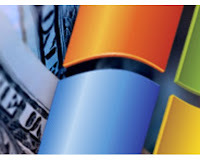 The agreement also calls for Microsoft to spend a certain amount with Razorfish. Razorfish, formerly known as Avenue A/Razorfish, works for marketers like Best Buy, Ford Motor, McDonald’s, MillerCoors, Levi Strauss & Company, and Starwood Hotels and Resorts. The agency has about 2,000 employees. Bob Lord will continue as chief executive after the deal is completed. The mix of cash and stock that Microsoft will receive is to include about 6.5 million shares of Publicis, valued on Friday at about $230 million. Publicis was recently identified in news reports as being the most likely winner of the auction for Razorfish, apparently because it was the most willing to spend the specified amount on ad space on the Microsoft digital properties after a deal closed.